Invest in your people and you will reap the reward of success for your business. With the right HR approach your team will be engaged and motivated, and become champions of your business; contributing significantly to its ongoing development. Human Resources is about people. This fundamental principle is at the heart of all we do. Our business is built on strong relationships, integrity and trust. 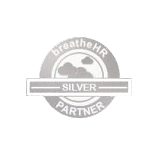 Our customers think of us as their in-house Human Resources team. We are flexible, accommodating and able to respond quickly, whenever you might need us. GFHR is as an Independent HR Consultancy based in Tunbridge Wells and we work with many small and medium sized businesses from a variety of industry sectors throughout the South East. We can support you on a retained, ad-hoc or project basis. Call us today on: 01892 300360 or 07789 869282 .